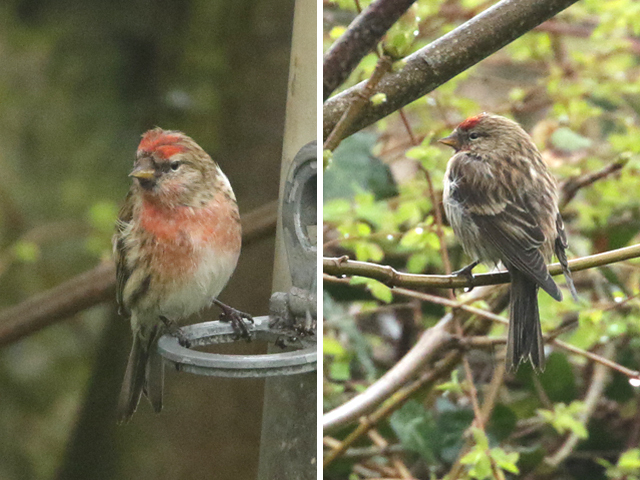 A very gradual improvement in the weather didn't come nearly soon enough to perk up passage on land or sea today and, with the exception of a peculiar although not entirely unprecedented arrival of winter thrushes, it remained pretty quiet for mid-April. The thrushes included 57 Fieldfares and 50 Redwings at the Bill and 11 Fieldfares at Reap Lane, whilst other migrant totals at the Bill included 25 Blackcaps, 20 each of Wheatear and Chiffchaff, 10 Willow Warblers, 2 Short-eared Owls and singles of Black Redstart, Ring Ouzel, Firecrest and Redpoll; visible passage there was never heavy but included a trickle of hirundines, Meadow Pipits and Linnets. Elsewhere, the 'Eastern' Lesser Whitethroat lingered on at Southwell. Reduced visibility curtailed seawatching through the morning and the only worthwhile report from the afternoon was of 3 Red-throated Divers through off the Bill.